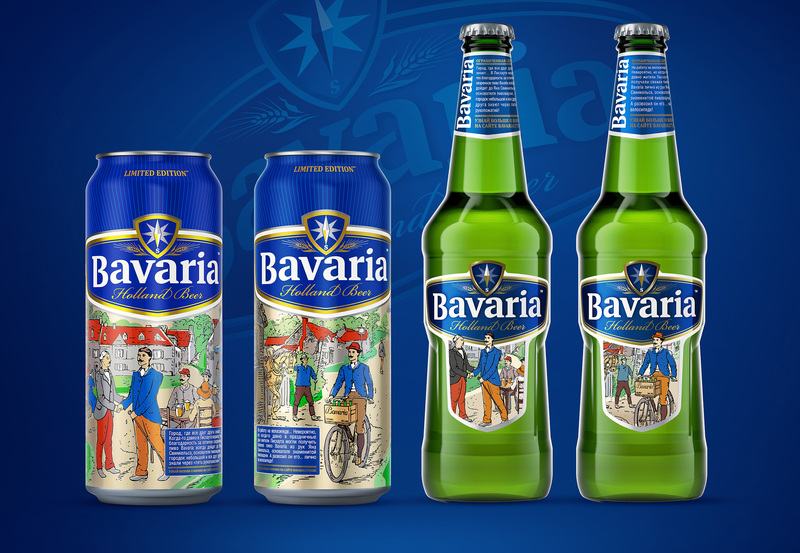 Bavaria, well-knowing legendary beer with a big history keeps retain its dedication to family traditions. New bright package limited edition has been released in chains at the end of 2016. 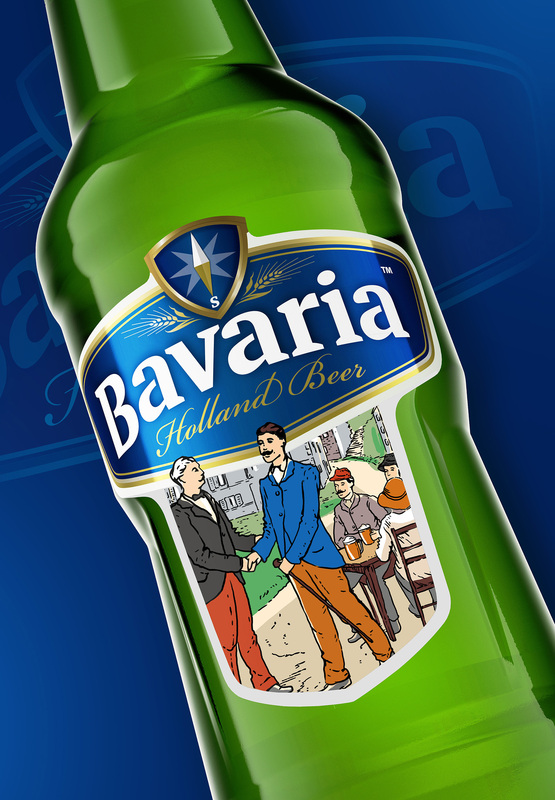 The concept conveys history of the brand in interesting way, emphasizing its immortal fidelity to quality. 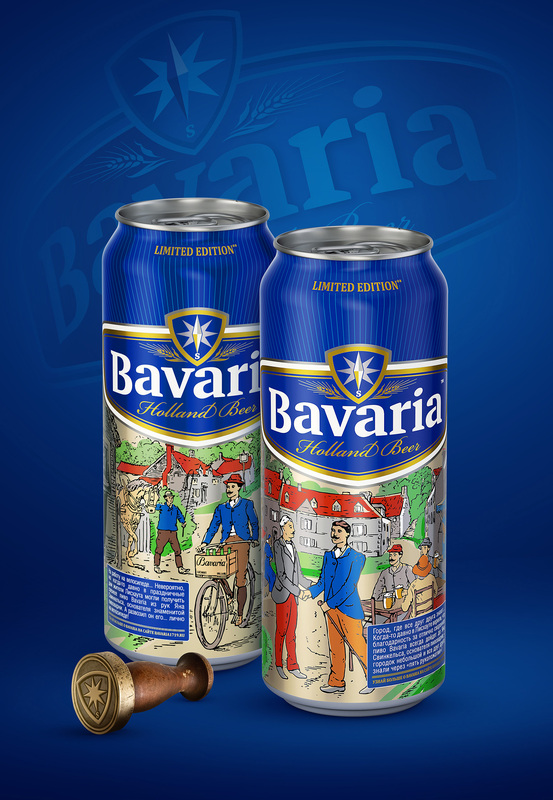 The main distinguishing features of design became illustrations made in vivid urban etude style, describing entertaining stories from Lishaut town life, homeland of Bavaria beer. 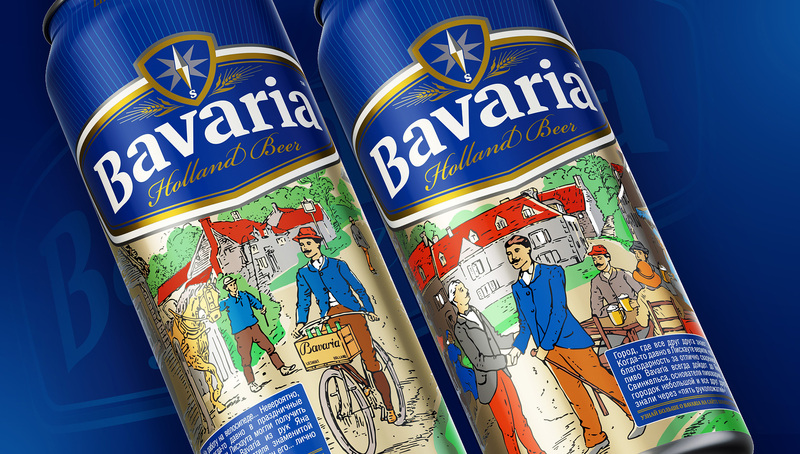 Each illustration we supplemented with short texts of unusual facts, so every buyer could plunge into the atmosphere of ancient town with the first sip of Bavaria. For limited edition supporting were also developed key-visual and promo-materials.